We offer a wide variety of laboratory devices for timely examination of patient samples. In addition to high-quality lab devices like benchtop centrifuges, specific analysis devices and microscopes, you will also find the compatible laboratory accessories, including test strips and lab timers to complete your laboratory facility. In this section, you will find analysis devices, such as the Vario Photometer and the Reflotron Plus, for the rapid examination of different parameters in blood samples. Here, you will find breathalyzers for determining the blood alcohol concentration in exhaled air, as well as alcohol test strips. Here, you will find special analysis devices that are designed to assess compatible urine test strips. Blood sugar monitors for rapid and mobile determination of blood sugar values in capillary blood samples. You can also obtain the appropriate test strips here. 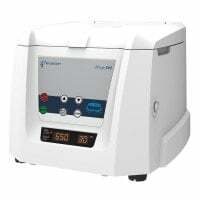 INR machines provide a coagulation measurement without long laboratory wait times. The practical coagulometers from Roche are also perfect for mobile use. Hydrogen breath testers allow for a simple detection of intolerances, such as lactose or fructose, by measuring the H2 concentration in exhaled air. Many laboratory tasks require time measurement or the use of a timer. 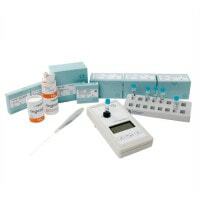 We offer a variety of digital timers, ideal for use in laboratories. 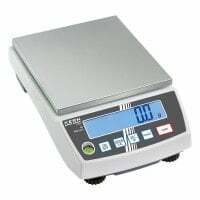 Discover our wide selection of laboratory scales with very fine weight increments and special functions, such as sorting, dosing and prescribing. In this category, you will find a variety of lactate meters to determine the lactate concentration in blood, as well as compatible lactate test strips. 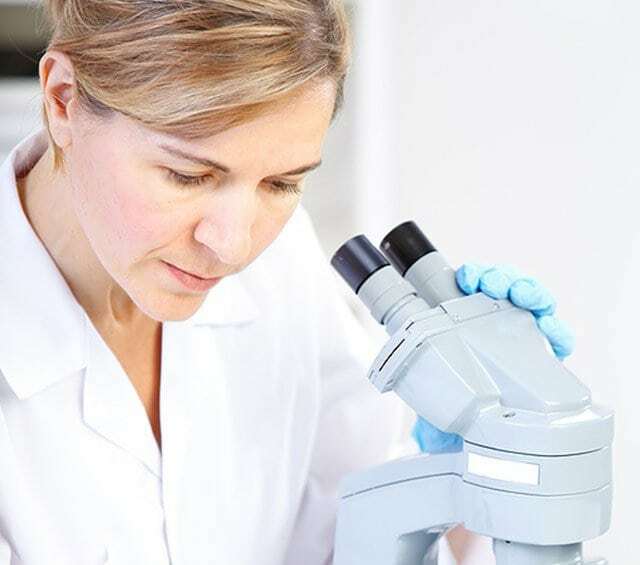 Whether you need monocular, binocular or stereoscopic microscopes: Praxisdienst offers a wide range of high-quality microscopes from Euromex and Krüss, at affordable prices. We offer a wide selection of test strips for our analysis devices, i.e. for examining haemoglobin, glucose or potassium. We offer a wide selection of high-quality, benchtop centrifuges from Hettich for laboratories processing a small to medium number of samples. Lab devices are suited for quickly testing medical samples. When the patient sample can be examined directly in the practice laboratory, then the benefit of this practice is considerable time savings. Our assortment encompasses analysis devices for the most used, relevant parameters. In addition to the specific analysis devices, you will also find a large range of lab technology, such as centrifuges and scales. Analysis devices can prevent the labourious posting of samples to external medical laboratories. 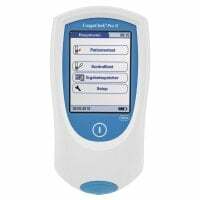 These lab devices are most often portable and the measurement parameters extend from glucose and lactate to coagulation values and ethrocyte count, all the way up to the detection of alcohol and other abused substances. One can basically differentiate the devices by the amount of measured parameters. Most coagulometers exclusively measure the INR value, whereas blood analysis devices evaluate a wide spectrum of haemotological parameters. Our wide assortment of blood sugar monitors from name brand manufacturers provides you with the ability to find the perfect product for your needs. Some devices determine parameters in addition to the glucose value, such as triglycerides and cholesterol. For measurement with a smartphone, we offer the practical 2in1 blood glucose meter with a free app. Compatible accessories for our devices, such as lancing devices, test strips and control solutions, can also be purchased from us at particularly affordable prices. INR machines determine the blood INR value, which must be constantly monitored in Marcumar patients. The compatible accessories for the devices, such as lancets and test strips, are available from us at great prices! 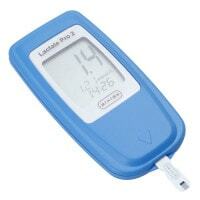 Lactate meters can be used in sports medicine for determining the blood lactate levels directly following intense activity. These measurement devices and the compatible accessories can be found in our shop at affordable prices! High-quality analysis devices for creating a haemogram, for example, mostly come into use for point-of-care diagnostics in stationary areas. These have diverse measurement parameters and deliver the fastest possible results. Breathalyzers for quantitative C2 determination in exhaled breath can be used for treatment monitoring during addiction therapy. Our high-quality testing devices can be ordered at affordable prices. Hydrogen breath testers for functional diagnostics with malabsorption of carbohydrates are characterised by the simple and painless procedure. Here, you will find these high-quality lab devices with the compatible accessories! The lab facility requires inventory like laboratory furniture, microscopes, centrifuges, scales and timers, but it also requires specific consumables, such as test strips or mouthpieces. Lab centrifuges for preparing blood and urine samples decisively contribute to widening the laboratory's range of possible examinations. In the various ares of laboratory facilitation, we offer a wide assortment of necessary items at great prices! 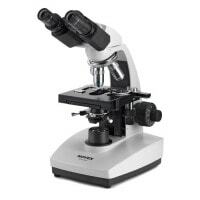 Microscopes are among the standard inventory in a modern laboratory. Hand microscopes are a practical alternative due to their portability. They can typically transmit the microscopy data to the surgery PC wirelessly. Explore our high-quality, flexibly applicable products. Centrifuges serve to prepare urine or blood samples. The appropriate sediment or blood plasma is ready for testing, following centrifugation. Lab scales are characterised by precise measurement, as greater discrepancies that could otherwise be tolerable for other weighing purposes can result in hefty consequences when it comes to laboratory procedures. We offer you high-quality calibrated lab scales at low prices! Lab timers are often used to determine blood sedimentation time. In addition to lab timers, we also have an assortment of stylish nurses watches available. Explore our diverse products! We have assembled for you an especially wide selection of analysis device test strips for blood analysis devices. Test cassettes and test cartridges complete our large assortment. In our online shop, you can purchase lab devices at especially reasonable prices. Additionally, we supply further laboratory technology like incubators and autoclaves to complete your laboratory facility. Do you have questions about our lab devices? Our customer service is here to help via telephone, email or chat.